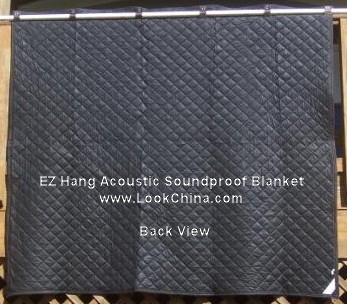 6) Hanging loops/metal grommets, it will not be seen from blanket front view. Environmental-friendly. Made from recycled textiles. 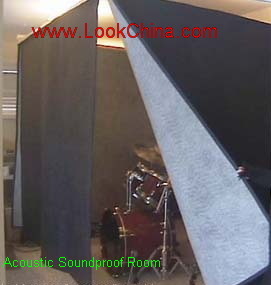 Easily soundproofs any area either big or small, an affordable home-made solutions for a vocal booth. Affordable and cost effective. Machine washable and tumble dry. We strive to use renewable and recyclable materials in our products to be environment-friendly and reduce carbon footprints/greenhouse gases. 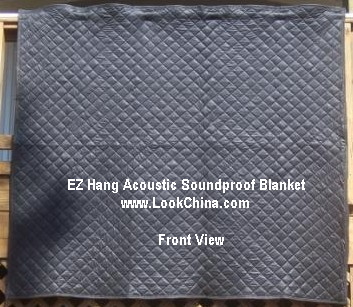 Buy EZ Hang Acoustic Soundproof blanket right now! The white PVC pipe in photos is not include in the sale, price includes shipping to USA's lower 48 states only. Buy THREE (3) or more than (3) blankets get One (1) pair of utility working glove FREE! Above flat rate covers shipping rate to 48 lower USA states. 30dB-Quiet conversation or in a quiet location in the country. 80dB-An intercity train from a station platform/loud music in a home. 90dB-Pneumatic drill at 3 metes / sound of a truck passing on the street. If you are interested in buying our pads > 200 pc at deep discount wholesale price, please let us know how to contact you. We support small business, for wholesale and distributorship worldwide. Pay via checks, money order will help us save online banking charges, we will save you too. Get $5.00 off for >$100.00 purchase paid via checks, money order only. 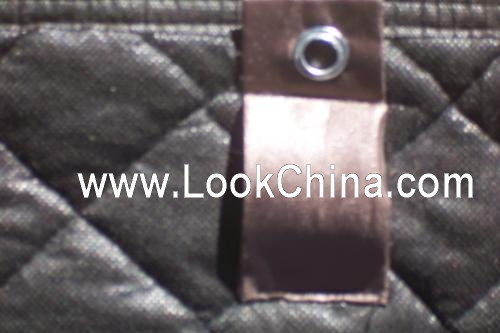 Payable: LookChina, Inc. Payment method - certified/cashiers check, personal/company checks, money orders, Paypal, Visa/MasterCard, international wiring and Letter of Credit.